MEGAMINX SPEED CUBE - D-FantiX Cyclone Boys Rainbow Megaminx Speed Cube is the latest Megaminx Speed Cube. Its corner pices adopts concave design, increasing the hand hold feel of its surface. Its color is bright and easy to distinguish, never fade. 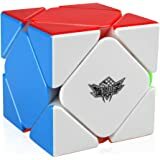 D-FantiX 3x3 Rainbow Megaminx Speed Cube is the latest Megaminx Speed Cube. Its corner pices adopts concave design, increasing the hand hold feel of its surface. Its color is bright and easy to distinguish, never fade. 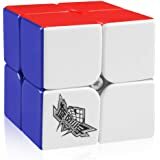 D-FantiX 3x3 Megaminx Speed Cube Smooth Pentagonal Dodecahedron Puzzles Cube Black is an outstanding cube with great overall performance. Slightly different from the standard cube. 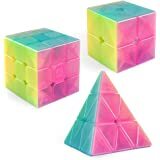 This puzzle cube is very unique and fashionable and it brings you a completely different experience.Crafted with original and eco-friendly ABS material, non-toxic, harmless to human and environment. 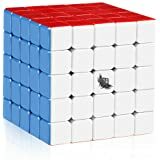 I highly recommend this if you are looking for a slight step up in difficulty over the standard cube. If you know some algorithms for the standard 3x3x3 cube, you can get most of this solved fairly easily. But there are some parts where you will have to either invent your own algorithms or look up a solution. I went the route of inventing algorithms, and this turned out to be a fun puzzle to solve during summer vacation. The puzzle feels nice in my hands, and the turning action is great: smooth, with little chance for accidental turns. 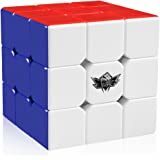 To start, I'm an enthusiast, not a speed cuber. I like having fun, but I'm not going to break any records. 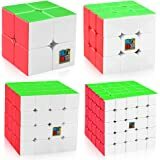 That doesn't mean I don't enjoy a good cube, and entry-level ones at that. 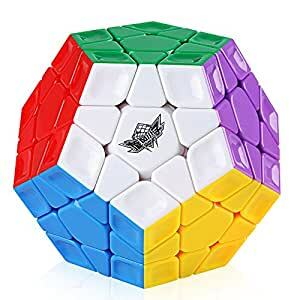 The D-FantiX was my first foray into the Megaminx, and it was fine. The plastic is extra-glossy, giving it a slightly higher friction coefficient than a frosted or mid-gloss surface (more on this later). Once you get used to it, the divots are nice. It's a little loose but hey, it felt like an okay puzzle. Then QiYi Qiheng S arrived. That's when I realized the many faults of the D-FantiX. Visually, the ultra-glossy finish of the D-FantiX makes the puzzle look lumpy and weird, not tight and elegant. Corner-cutting is lackluster, causing piece-separation under pressure. Hangups are also a regular occurrence, causing mistakes when running algorithms. It's also loud. Very loud. You are going to bother people. Also, for those with larger hands, the D-FantiX is small; this may be personal preference, however. That's where the price difference comes in. 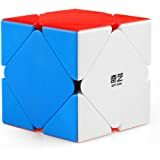 The D-FantiX was $10; the QiYi was $9. A far superior product that fixes all of these issues is $1 less. This product, being $1 more, I figured it was going to be better; in the budget-sphere, this is 10% difference in price, which could translate into a 10% better product. This is not the case for the D-FantiX. Smooth turning, some corner cutting. Excellent puzzle. I've dropped it several times in the few days that I've had it, but it doesn't show any signs of damage and all of the pieces are completely intact. 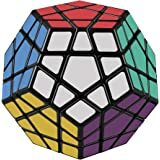 About a decade ago I was invited to a "Learn the Rubik's cube" party - and I've been hooked since. I have not yet learned well enough the muscle memory and algorithms of this cube, but I will soon! 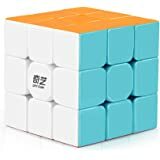 This particular cube is well made, feels heavy (in a good way) and moves smoothly. Great product. Our boys have lots of various size cubes. 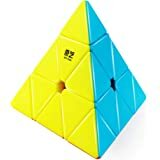 This one has kept them busy for a few days learning how to solve it and trying to get faster. It is big, and different because of that. It seems to move smoothly and meet all their critical expectations.